Quick, name a mega cap stock with declining usage and trading at 32x forward earnings estimates. Don't research too long and hard, as such stocks don't exist outside the magical world of Facebook (FB). ComScore just reported that the company again saw declining usage of its service in August. With the stock valuation held up with the promises of mobile monetization, a new search tool, and eventual ability to mine all the data collected on users, the market appears to be missing that the company has lost all momentum. The leader of social media could be falling victim to the whole issue with social concepts in the first place. Quick, name a club that remains popular for more than five years, or even a restaurant that you still frequent now as often as a few years ago. While the whole gaming market was focused on Zynga (ZNGA) and the social media gaming platform of Facebook (FB) in 2011, Glu Mobile (GLUU) quietly focused on building a mobile gaming empire. The company is scheduled to launch a total of 18 games in the back half of 2012. The company is leading global developer and publisher of freemium games for smartphone and tablet devices. The company that entered 2012 with some promise but little in the way of results is now growing smartphone revenues by 100% year-over-year. With Q4 set to begin next week, the company has a slew of strong titles including the currently popular Indestructible that ranks highly in the iOS app store. Note: Posted a video clip below from the CEO when he interviewed with Bloomberg back in August. Any interested investor should watch it as well. Myspace recently launched the below video in hopes of attracting interest in its re-launch. Will the website be successful in connecting back with the younger, artistic crowd that it enjoyed until Facebook (FB) came along? Myspace appears to retain the more hip option for users disappointed with the more bland style of Facebook. The biggest hope for Myspace is reconnecting with the younger crowd looking for a place to hang out with friends and away from their parents and grandparents that now reside on Facebook. Probably a long shot to re-build a brand in the social networking world, but it sure doesn't hurt to have Justin Timberlake on your side. Whether successful or not it will undoubtedly contribute to the declining traffic at Facebook. Even 5% of users shifting time back to Myspace could just be a killer for the once dominant player. Disclosure: Short small position in FB. Please review the disclaimer page for more details. Niccolo De Masi, chief executive officer at Glu Mobile Inc (GLUU)., talks about his company's strategy and the video game industry. He speaks with Pimm Fox on Bloomberg Television's "Taking Stock." Great interview and interesting company that is taking advantage of the move to mobile gaming. 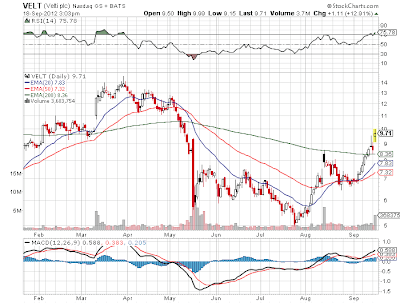 Clearly Zynga (ZNGA) and Facebook (FB) have been huge losers from this quick transition away from Facebook web. The interview is about a month old, but still applies. Vodafone (VOD) remains a better investing option compared to Verizon (VZ) or, for that matter, AT&T (T). While Vodafone remains a pure play on international wireless growth, the other two companies are bogged down with wireline operations. Vodafone is a U.K.-based telecommunication firm, with operations in over 30 countries, and serves more than 400 million customers worldwide. It is a global telecom giant with a significant presence in countries like Germany, Italy and Spain, as well as India, Africa and the Middle East. More importantly, the crown jewel of Verizon, Verizon Wireless, is 45% owned by Vodafone, giving the company a huge investment in the U.S.
Another important distinction is that the U.S. firms continue to throw on huge amounts of debt in order to support their significant dividend payout ratios. Due to stronger stock gains, their dividend yields are now lower than Vodafone's, making the Vodafone stock more attractive. Prior to the open on Tuesday, Tesla Motors (TSLA) announced that Q3 revenues would not meet analyst estimates. The company is having significant problems ramping production and obtaining supplies on time. Did you catch that part about issues with suppliers? Seriously? Production was half the forecast and only 300 vehicles in Q3, yet suppliers couldn't keep up. That clearly can't be a good sign, as these suppliers must typically deal with thousands if not millions of parts for other automakers. This is starting to remind me of the Dreamliner plane built by Boeing (BA): an innovative product that took much longer to produce due to the complexities of a new design and a diverse supplier network. The only difference is that Boeing lacks major competition while also having the capital to withstand any setbacks. After the close on Monday, Red Hat (RHT) announced Q2 earnings that met analyst estimates (assuming the removal of acquisition costs). The concerning part remains that earnings were flat year-over-year. Sure, the company is ramping up marketing and research expenses, but most stocks have a difficult time remaining at 40x multiples during those transitions. The interesting part though is that the stock was only down 3% as of writing this article. After a decent rally this year, a normal stock would get hit harder off these weak numbers. The company is a leading provider of open source software solutions, taking a community-powered approach to reliable and high-performing cloud, Linux, middleware, storage and virtualization technologies. As the deepwater drilling market rebounds strongly, it remains interesting that the once unquestioned leader continues to struggle. After all, the company even uses deepwater.com for their official website. Everybody knows that Transocean (RIG) has been hit hard since the Macondo accident back in April 2010. While that incident initially set the company back, the stock rebounded sharply at the end of 2010 and the start of 2011. Investors buying the stock though weren't paying attention to their aging fleet. The company engages in offshore contract drilling services for oil and gas wells worldwide with a primary focus on deepwater and harsh environment drilling. Just a few days removed from the stock surging after announcing a huge deal with a U.S. brand, Velti's (VELT) stock ran into a couple of weak statements from analysts. After surging to over $10.40 on Wednesday, the stock ended down over 6% to $9.37 on Friday. Following a strong Q2 earnings report (see article here) in August, the stock had been on a huge run, so the drop on Friday might just be profit taking. The frustrating part for long-term investors is that the stock remains one of the cheapest around at only 9x forward estimates. How could any analyst say something to push the stock down from these levels? Just about every day, a company releases news regarding the mobile payments area. Unfortunately for investors with only access to the public markets, the news tends to be from a private company and more importantly, the focus is usually on Square. For investors, a few opportunities exist via PayPal, a division of eBay Inc. (EBAY) and Intuit (INTU). See original article from April regarding the different investment options. PayPal appears to have the best plan, but do investors get enough exposure from an investment in eBay with a market cap of $64B? On Monday, iRobot (IRBT) announced a deal to purchase Evolution Robotics, Inc. for $74M. The company looks for this deal to expand iRobot's technology leadership through a combination of intellectual property, engineering talent and new products. iRobot has been a leader in delivering robotic technology-based solutions for both consumer and defense sectors. Evolution brings the Mint product line that automatically dusts and damp mops hard surface floors using popular cleaning cloths. The stock is trading down again on Wednesday as investors fret over the short-term earnings hit instead of the long-term benefits of the new products and technology. Velti (VELT)announced a $27M deal for two years of mobile marketing services for a major US brand. The stock is soaring 13% in part due to the size of the deal, but most importantly is the payment terms of 30 days. The stock was absolutely crushed earlier this year on the news of weak DSOs and cash flow issues from European customers that were taking 270 days to pay bills. The recent 70% revenue growth in Q2 didn't push the stock up as investors remained concerned that customers were not paying bills. With the stock trading at a forward PE below 10, this stock has huge upside as this deal highlights the demand for mobile marketing. It also confirms management statements that US customers would pay on better terms making the going forward DSOs significantly lower. This model was up 4.8% in August versus a 2.0% gain for the benchmark S&P 500. 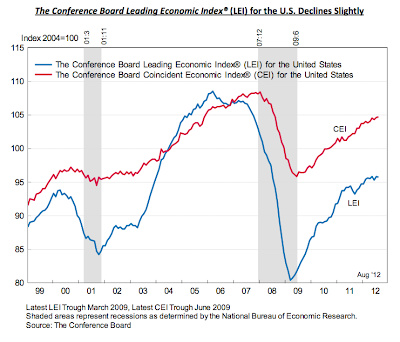 The model rebounded sharply from a weak performance in July. Trades As mentioned previously, one goal of this model is to slowly trim the amount of positions back closer to 20 after reaching 26 a few months back due to mergers and partial positions. Hence, the model only made a sell during August to reduce the position total down to 24. Express Scripts (ESRX) was sold as the merger with Medco Health (MHS) led to the reduction of share buybacks. Considering the company doesn’t pay dividends, it left the Net Payout Yield (NPY) heading towards zero. The stock was sold at $62.49 on the spike higher following strong earnings. This sell further highlights the ability of the model to be opportunistic when a position no longer meets the set criteria. Instead of having a rigid sell point at a quarter end, the model is able to trade positions when the market presents an ideal time. Has Michael Kors Run Out Of Growth With The New Store Coming To Oklahoma? Most investors know that one of the best investments can be a retail store that goes from a regional concept to a national powerhouse. Investors reading the local papers and frequenting a regional concept can have an advantage over the major investment funds stuck in New York. Michael Kors Holdings Limited (KORS) is such a company that has gone through a rapid expansion plan going from 177 stores to 253 over the last 12 months as of June 2012. The company is a global luxury lifestyle brand with a multi-channel strategy established in 1981. The flip side of a buying a regional to national play is identifying a company that has maxed out the expansion possibilities by reaching a majority of states. Typically, this occurs when over 40 states have been reached while already populating California, Florida, New York and Texas with a large amount of stores. Once again, the Opportunistic Levered (Arbitrage) model is at the top of the list on the homepage at Covestor. The model as had a fantastic 90 days and especially 30 days as growth stocks come back into favor. Please contact Covestor directly about investing in this model. It requires only a minimal $10K investment and a margin account at Interactive Brokers. Or please let me know directly if you have any questions. Even with the recent supply issues of competitor OCZ Technology (OCZ), Fusion-io (FIO) remains a market leader so far unaffected by the supposed supply issues in the solid state drive (SSD) sector. The stock is generally considered expensive, but once compared to other tech stocks, the relative valuation in the sector and the stock appears clearer. The company is a leader in delivering storage solutions that accelerate virtualization, databases, cloud computing, and big data. The sector is one of the fastest growing around, with the two leading companies reporting revenue growth in the 80% range recently. But why are the companies trading at lower valuations than other hot tech stocks? Over the last year, Savient Pharma (SVNT) has undergone a disappointing sales launch of a promising drug, the hiring and defection to Dendreon (DNDN) of a big name CEO, and finally the lawsuit of a creditor for forced liquidation. Somehow during all of these crazy actions, the company was able to get the lawsuit dismissed, raise cash, and greatly right size the sales force to account for the slower launch of the new drug, KRYSTEXXA. All of these moves have left the company better equipped to survive long enough for the promising drug to thrive. The company is a specialty biopharmaceutical focused on developing and commercializing KRYSTEXXA (pegloticase) for the treatment of chronic gout in adult patients refractory to conventional therapy. One of the weakest stocks following the patent verdict against Samsung has been InvenSense (INVN). The company makes motion-sensing chips mainly focused on the smartphone and tablet markets. The stock weakness is probably warranted considering the focus on non-Apple (AAPL) products highlighted recently by the Samsung (SSNLF.PK) Galaxy 3S LTE smartphone and Google (GOOG) Nexus 7 design wins. When Seagate Technology (STX) reported earnings back on July 30th, it confirmed that the company had completed a massive buyback of 45M shares for $1.25B. The puzzling part is that the company spent over $27 a share for a stock that traded below $10 for a few days back last October. Why load up now? The company is a worldwide leader in hard disk drives and storage solutions. Seagate actually ended the quarter with sequentially higher cash showing that the buyback was at least from cash generated from operations. A good example that the stock was trading considerably below the ability to generate cash if the company bought back 10% of the outstanding stock in one quarter alone. Would imagine that the average person has no clue that the S&P 500 has had such a strong year. In fact, the market is up 13.9% (not including dividends) so far this year after a flat year in 2011. The stock market is so hated that people don't even notice anymore. The Net Payout Yields model at Covestor has recorded an 18.1% gain so far this year. As one can see from the chart below, ever since the start of 2011 the model as slowly outperformed the market on a consistent basis. Per the below stats, the model has outperformed the S&P 500 by 460 basis points on an annualized basis since inception. Right that is an incredible 15% annualized gain during a period that most people have avoided stocks for bonds. 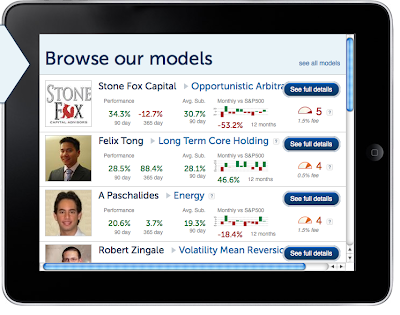 Please contact Stone Fox Capital at info@stonefoxcapital.com with any questions about investing in this model. This is the third part of a series on Sears Holdings (SHLD) with the focus of this part on the pending spin-offs of the Sears Hometown and Outlet Stores (SHOS) and Sears Canada (SCC.TO). One of the opportunities of creating value for the Sears shareholders is to unload some of the assets buried on the balance sheet. How many investors that owned the stock last year even knew about the Orchard Supply Hardware Stores (OSH) stores or these spin-off properties? All of these assets have been buried and under appreciated for a long time. As mentioned, this is the third part of a series. Previously, the first part focused on the highlights of Q2 earnings while the second part focused on the case study prepared by Bruce Berkowitz and Fairholme Funds. Prior to the open on Tuesday, Heckmann (HEK) announced a merger agreement for Power Fuels owned by Badlands Energy, LLC. The deal creates a leading environmental services company focused on energy and industrial end-markets. The company is an environmental services provider dedicated to the movement, treatment and disposal of water generated by energy companies involved in the discovery and production of oil, natural gas liquids and natural gas. The stock surged nearly 40% on Tuesday as the deal creates a potential game changer for the handling of fracking fluids. The deal is also highly accretive causing investors to take notice of a stock that had been crushed this year. Disclosure: Long HEK. Please review the disclaimer page for more details. As chronicled a few weeks back, OCZ Technology Group Inc (OCZ) is one of the most drama-ridden stocks in the market. The stock has been whipped around by numerous buyout rumors and a wild pattern of high growth followed by disappointing earnings. After the close on Wednesday, the company again reported disappointing preliminary revenue numbers, even as demand soars. That was the bad news and likely what the market will focus on, with the stock trading down 20% in the after-markets. The good news that the market will ignore is that the guidance miss is due to the lack of NAND supply from third party suppliers. Bookings again exceeded expectations and that should ultimately guide the stock price. The shortage of NAND appears related to Apple (AAPL) buying up all available supplies for either the iPad-Mini or the iPhone5. This caused suppliers to cut capacity for the 2xnm MLC NAND used in the Vertex and Agility line of products. Halliburton (HAL) is quickly going from a market leader in the oil services field to the one that is always wrong. Today, CFO Mark McCollum reported at a conference that domestic revenue would miss estimates. This after the company famously complained about high guar prices squeezing margins, only to load up on the product at the peak price. The company is one of the world's leading oil service firms, with revenue approaching $29B for 2012 and a market valuation of nearly $30B. Not surprisingly, the stock has traded down 2-3% today, especially after McCollum mentioned that the profit margins would take a 2.5 to 3 percentage point hit. Disclosure: Long CJES and WFT. Please review the disclaimer page for more details. Last Thursday morning, The Gap, Inc. (GPS) reported August 2012 net sales that showed surging comp sales for all of the domestic brands. This news sent the stock surging to a new 52-week high of $36.60 before closing at $36.11. The company is a leading global specialty retailer offering clothing, accessories, and personal care products under the Gap, Banana Republic, Old Navy, Piperlime, and Athleta brands. With the stock now up 100% for the year, many investors wonder when will the rally end and what could've predicted these gains. At Stone Fox Capital, the one predictive reason all year continued to be the huge Net Payout Yields (NPY). The company had consistently been in the top of the monthly NPY list, telling investors to stay invested. Disclosure: Long GPS. Please review the disclaimer page for more details. The fertilizer sector appears ready for a breakout year in 2013, as strong crop demand merges with weak production due to the severe drought in the U.S. An earlier article focused on Potash (POT), which reported strong fertilizer demand, yet had recently curtailed production due to a surprising declining demand environment. Another interesting fertilizer company is The Mosaic Company (MOS). It reported earnings back in July and has a stock approaching breakout levels around $60. The company has a similar focus on potash, but it has a more diverse mix, with a higher revenue base from phosphates. Mosaic is one of the world's leading producers and marketers of concentrated phosphate and potash crop nutrients. Not surprisingly, Mosaic was very bullish as well on the earnings call in a similar tone as Potash. The company though has a better balance sheet with $2.8B of net cash, placing it in a stronger position to take advantage of any weakness during the fall.